Sark, one of the Channel Islands, doesn’t have cars. People move around mostly on bicycle. There are also some horse-drawn carriages and a few tractors, mainly to pick up supplies from the harbour. There are so few people that license plates don’t display numbers, but the names of the owners, like “James” or “Andrew”. I did not fall sick or break my leg while on Sark. 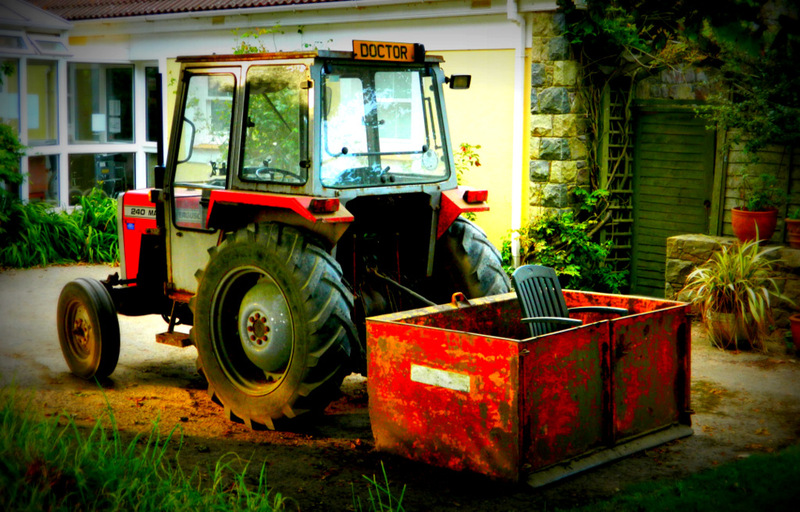 This entry was posted in Health, Photography, Sark, Technology, Travel and tagged doctor, tractor. Bookmark the permalink. Thats a good one. I think if the patients are not sick yet when they enter this vehicle, they will probably feel very sick when they arrive at the clinic.